After nearly four years, the Hillside Inn in Newberg will no longer serve as transitional housing for young adults in the area. Church of the Vine attempted a fundraiser over a three-month span to keep it going, but it wasn't enough in the end. 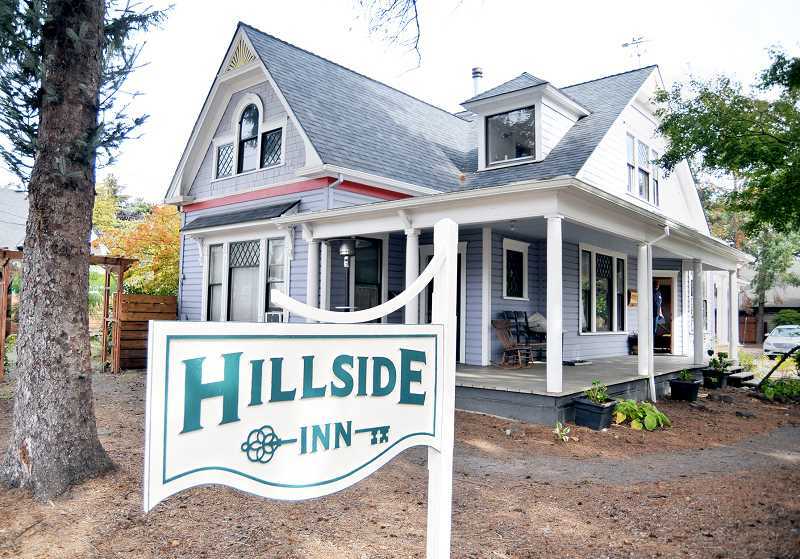 Church board members decided last summer that the Hillside Inn needed to be transitioned from a ministry of the church into a freestanding nonprofit. That required 90 days of fundraising and plenty of help from the community. While they came close to their financial goal, the fundraising fell short, so they decided to close the inn for good. "Our goal was to raise enough money to pay for operations and cover the cost of our personnel," Sean Flannery, rector at Church of the Vine, said. "We saw an amazing response from churches, we had a lot of contributions and were able to cover operations, but not personnel." Keeping the inn open with a leaner staff and less services to offer its residents wasn't an option, according to Flannery. Church of the Vine's goal, he said, was to do it right or not do it at all. A December realization that they would have to choose the latter was "difficult." The board unanimously agreed that it was no longer possible from a financial or logistical perspective to keep the inn open, so they handed the keys off to the property owner on Jan. 13. In the future, Flannery said the owner will rent out the property for residential use. Ultimately, while the decision to close was unfortunate, Flannery said he is optimistic about how the community of Newberg will work to address its housing crisis in the coming years. "The thing that was really encouraging was watching Newberg's churches work together and sacrifice financially to tackle one of the core challenges Newberg is facing," Flannery said. "Housing is an issue, but so is caring for those who are precariously housed among us. These are folks who often have mental health challenges or a history of substance abuse, and they're trying to turn things around." George Fox University's social work department was invested and on board with the Hillside Inn if it had stayed open. Fellow churches were kicking in contributions, too. But what stood out most to Flannery among all the support Church of the Vine received was that of Mayor Rick Rogers, who Flannery said expressed support for the continuation of the inn and development of other projects like it. "It showed me a pretty exciting picture of a university, a city's churches and the political leadership all showing a heart for something that we want to care for," Flannery said. "The support we received was a really positive sign that Newberg is a pretty amazing community." In the end, Church of the Vine's goal with the Hillside Inn was to provide a place of refuge for young adults in difficult or otherwise non-existent living situations. While they were able to achieve that for four years, Flannery expressed his disappointment that it had to end. "Sometimes folks in that living situation face options that aren't really appealing," Flannery said. "For us, green-lighting something that wouldn't have all the resources necessary would have been wrong."